Superbad are at it yet again! From the team that brought you the royal battle of MJ vs. Bey, the throwback glory that was Boy Bands vs Girl Bands and of course the tribute to end all tributes Bowie vs Prince, here we go for our hit out of 2018 - Stevie vs JT! 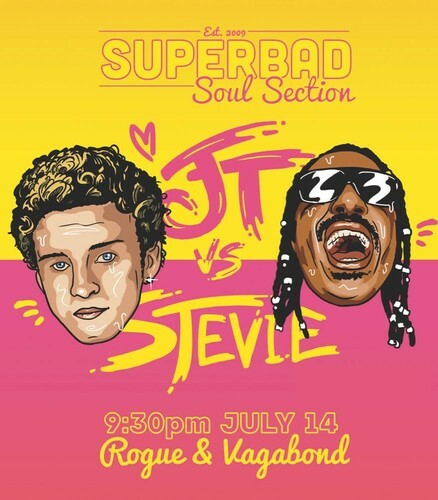 Join Superbad Soul Section with our largest band yet at The Rogue & Vagabond in Wellington for one epic party! One of the greatest masters of all time going head to head with one of the greatest entertainers, this is going to be one huge night! Stevie Wonder vs Justin Timberlake!